Cute and pretty all in one! 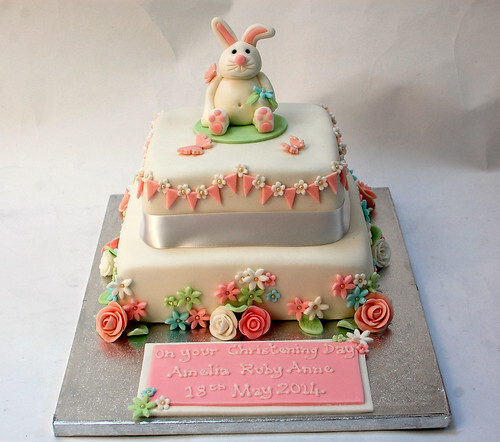 The Floral Bunny Christening Cake – from £120. A beautiful christening cake created by Mandy for our daughters christening. It was even better than we imaged it could be. Everyone said how wonderful and pretty it looked and how delicious the sponge was. It fitted in with our theme perfectly. Thank you so much to Mandy for working with our ideas and creating something so spectacular. We highly recommend Mandy’s cakes for any special occasion.